(Cinema) Comitè Econòmic d’Espectacles Públics. [Theater Broadside]. Girona, Spain: [CNT/AIT: Comitè Econòmic d’Espectacles Públics], 1936. 8-3/4 x 12-3/4 in. ; toned as expected with a few ink notations, partially backed with paper, good. 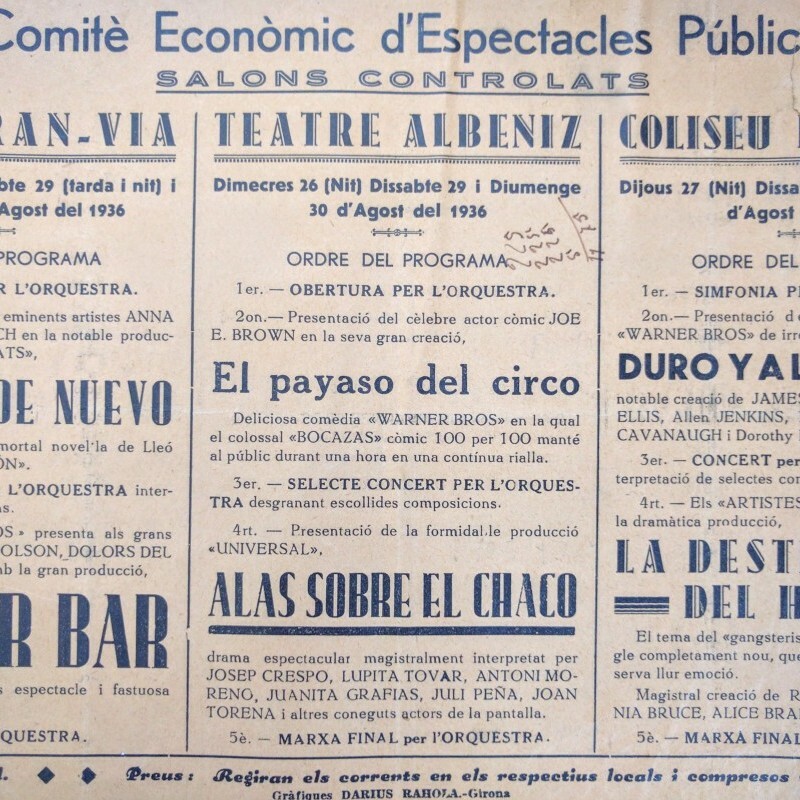 Broadside advertising the weekend schedule (Aug. 27-30, 1936) of three Catalonian theaters collectivized by the CNT/AIT during the first month of the Spanish Civil War. The schedule included three class-conscious Hollywood movies: Vivamos de Nuevo (We Live Again, 1934; based on Tolstoy’s Resurrection); El Payaso del Circo (Circus Clown, 1934); and Duro y La Cabeza (St. Louis Kid, 1934).